WEST COVINA — The Board of Directors and staff of the East San Gabriel Valley Japanese Community Center in West Covina announced with great sadness the passing of Kimio Hatakeyama on Feb. 27 at age 92. Hatakeyama was a principal founder of the ESGVJCC after the end of World War II. Along with Frank Konno and Yosh Sogioka, he revised the community center into its modern form after it had been closed during the internment camp period when all Japanese Americans in the eastern portion of the San Gabriel Valley were evacuated. 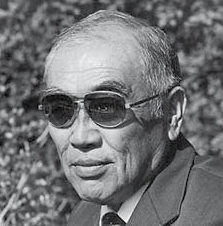 Hatakeyama was elected president of the center in 1965 and served for 35 years as treasurer of the Fundraising Committee. The Hatakeyama family has been active in all aspects of the history of the ESGVJCC, including serving on the boards of the center and West Covina Buddhist Temple. A gardener for 51 years, he was a recipient of the prestigious Dai Nippon Agricultural Award from the government of Japan in recognition of his expertise. He is survived by his wife Mary, son Kris Hatakeyama, daughters Nancy Maekawa and Joy Kitaura, and their families. Services were held on March 8 at ESGVJCC with Bishop Noriaki Ito from Higashi Hongwanji Buddhist Temple officiating.